Spring brings new pastures this year. Following the Frankfurt meeting (2008), Ermelo Foundation meeting (2010), Kassel Shepherd Assembly (2012) and the Global Pastoralist Gathering in Nairobi (2014), European Shepherd Network (ESN) is moving forward in its mission of supporting pastoralist campaigns across Europe. ESN is the only European-wide organisation made by pastoralists for pastoralists. ESN has succeeded in securing funding for at least two years from the Food and Agriculture Organization of the United Nations (FAO) that will enable it to strengthen dialogue between shepherd unions, implement actions at the European level, and become a truly engaged organization serving the purposes of its members. Beyond national frontiers, we face common issues that bring us together. ESN campaigns against anti-pastoralist bureaucracy and the multiplication of laws that favour industrial agribusiness against small-scale farming systems with high natural value. ESN supports specific conditions of implementation of the Common Agricultural Policy (CAP) for extensive grazing systems, concerted solutions to the problems of wild fauna, environmentalist and health policies, rural regeneration and social recognition of pastoralist way of life. We join our efforts because pastoralism is a specific production system often overlooked by policy makers and main farmer unions, and whose importance remains still largely invisible to the public opinion. However, we offer effective solutions to many of the problems our societies are facing: destruction of local rural economies, land abandonment, youth unemployment, food security, etc. with short-term plans to extend the network for a wider European representation. We hope this newsletter launched by ESN, available for now in English, French, German, Spanish, will prove useful in constructing this collective movement and learning from each other. Enjoy! 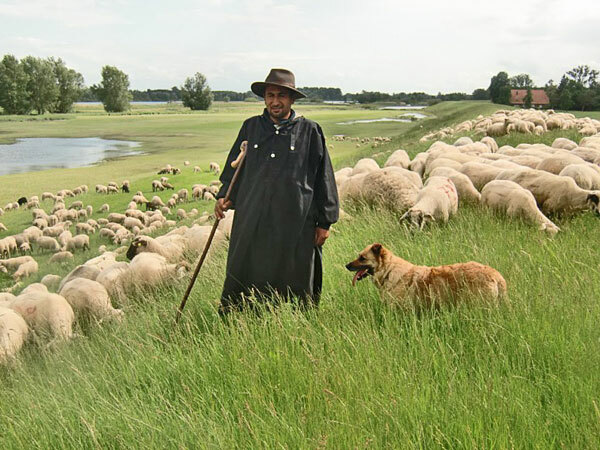 ESN is inviting shepherds and livestock farmers from all corners of Europe to meet in Koblenz, Germany in late June, thanks to the support of the Pastoralist Knowledge Hub — FAO. A Steering Committee has been formed with members from ESN core organisation members. We hope to gather 25 pastoralist representatives from at least 12 countries. We will soon publish the proposed meeting agenda on the ESN website, so save the dates for now! In a letter signed by the German Federation of Shepherds’ chairman Günther Czerkus, German shepherds have addressed the Federal Minister of Agriculture Christian Schmidt to protest new bureaucratic measures on fertilizer use following the EU Nitrates Directive. The measures concern a proposed reform on manure application over nitrogen levels, that would imply excessive bureaucratic burden in the case of extensive and organic farms using solid manure management systems. Arguing a “better balance between environmental interests on the one hand and practical solutions for agriculture on the other”, the reform drafted by the Federal Ministry of Agriculture requires the construction of solid manure storage facilities, lock-up period for manure application, and monitoring of fertilizer use in written records. The German Federation of Shepherds has asked the Federal Minister for an exemption of these measures, irrelevant in the case of extensive grazing since fodder base for sheep is almost exclusively meadows and pastures. It also asks for agro-ecological services and biodiversity protection by shepherds to be recognized as eligible for funding. In the words of Günther Czerkus, “many shepherds would be unable to meet the proposed revised regulation on manure storage, removal and application”. He warns that this kind of regulation is ill-adapted to extensive grazing and will “further accelerate the rapid decline of sheep farming in Germany”. Speaking at a conference on ‘Extensive grazing in agricultural policy’ organized by the German Association for Nature Management earlier this year, Czerkus declared that shepherds “have been overlooked in the legislative process, and are now paying for the consequences”. 96 organizations representing to 300,000 people ranging from agriculture, livestock production, fisheries and forestry to conservation, rural women groups and unions, have signed a campaign addressed to the Directorate-General for Agriculture and Rural Development of the European Commission, in which they demand the correction of serious deficiencies in the public participation processes of 2014-2020 rural development programmes on the side of Spanish authorities. 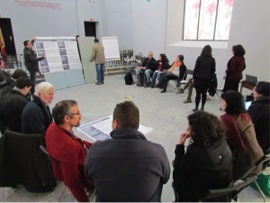 According to the petition, by failing to include relevant organizations representing civil society in consultation processes and enable adequate public information and participation in the preparation of national and regional rural development programmes before submitting them to the European Commission, Spanish Authorities committed serious breaches of European regulations regarding public participation. This includes Delegated Regulation (EU) No 240/2014 on the European Code of Conduct on partnership in the framework of the European Structural and Investment Funds, Regulation (EU) No 1303/2013 laying down Common Provisions on EU Funds, and the Aarhus Convention on “access to information, public participation in decision-making and access to justice in environmental matters”, ratified by the EU in 2005. The inadequate preparation process resulted in flawed programming documents with insufficient supporting data and a lack of coherence between the analyses and the proposed measures. Therefore, the Civil Society has called to witness the European Commission in order to urge Spanish Authorities to reactivate adequate communication and consultation mechanisms so that rural development programming for 2014-2020 responds transparently and inclusively to the real needs of rural communities. Under the Spanish Federation of Shepherd’s (Federación Estatal de Pastores – FEP) impulse, shepherd representatives, scientists, environmentalists, academics, NGO members and others have met for the third time at the Botanical Garden of Madrid as part of the Spanish Platform for Extensive Herding and Pastoralism (Plataforma por la Ganadería Extensiva y el Pastoralismo). The Platform was created in 2013 with the aim of encouraging debate and exchange in a network format between pastoral groups, research institutions and NGOs. FEP advocates a better legal framework for and social recognition of extensive grazing livestock in Spain. From within the Platform, FEP has been engaged with campaigns such as the national mobilization on public participation in the Rural Development Programmes (read above), which affects pastoralists in relation to CAP payment and land designation issues – for example, the inclusion of pastures or waste land used for grazing as ecological compensation areas. FEP has also been active in claiming the eligibility of wood pastures under the CAP framework, which resulted in a series of meetings and a project with the Spanish Agricultural Guarantee Fund (FEGA) that aims to improve processes and criteria for pasture eligibility coefficients used for woodland pastures by the FEGA and Autonomous Communities of Spain. Javier Colmenarejo, a goat herder in the mountain region of Sierra Norte in the Madrid area, who is also president of the Spanish Federation of Shepherds (FEP), has lost 80 of his goats to an attack by a wolf pack on the 11th of January. Taking into account the breed value and production shortfall, the loss is estimated at 65,000€. Legally, a derisory 1,085€ can be claimed to the Autonomous Community of Madrid by the goat herder for the found animals only. He has received support and letters of solidarity from the local community and various shepherd associations and technical NGOs across Spain. A leading figure of the public dialogue on pastoralism in Spain known for his position in favour of wolves and biodiversity, Colmenarejo hopes that this disaster will prompt authorities and all the stakeholders involved to discuss how risks could be shared on a more equal basis between herders and the community. Wolves in Spain have an estimated population of 2500 and are not considered an endangered species. FEP believes that biodiversity and a rich environment are one of pastoralism’s natural outcomes, as it directly promotes many endangered species such as the Beard Vulture. But policies have to ensure that pastoralists don’t pay the bill of a conservation that the whole society wants to enjoy. The loss of agro-biodiversity, for example the disappearance of traditional livestock breeds, should become a concern as well in conservationist efforts that are sometimes blindly focused on wild fauna without considering all the complexity and necessary balance in human grazed or cultivated agro-ecosystems. 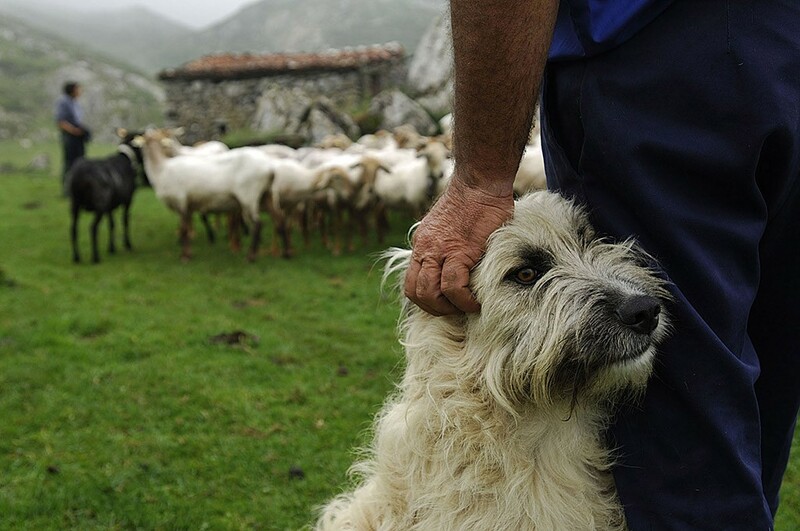 At the Shepherds School of Asturias, in Northern Spain’s mountains range, the 10th edition of the Initiation to Mountain Pastoralism Course has begun. This year more than 12 candidates will be learning different aspects of pastoralism, from mountain ecology to veterinary, zootechnics and cheese making. Some will spend a further 4 months living together with veteran shepherds in mountain cabins. The project provides the young people who finish the course with a chance to settle in the area, start their own flock and access common land, rebuilt huts and dairy cabins with modern means. Since its creation, the Shepherds School of Asturias has inspired similar projects elsewhere in Spain and has allowed hundreds of young people from the city to get closer to this profession and way of life. For the first time, representatives of livestock breeder unions and associations attending a National Wolf Group meeting in Lyon on April 21, unanimously rejected the increase in financial compensations proposed by the state following wolf attacks in national parks, recalling that what they need is not money but concrete measures to reduce the pressure of predation. “They wanted to buy our silence but we all refused outright. Today, we do not want more money, we want to regain our peace!” declared Yves Derbez, president of the association ‘Eleveurs et Montagne’ (Breeders and Mountains), commenting on the common position of the profession. Farmers complained that the French state is trying to gain time by offering to create new working groups, and that predation in the country is increasing while nothing is done to curb the proliferation of wolves. In 2014, 7,500 small ruminants were killed by wolf attacks, costing the state 15 million euros in compensations. The number of wolves in the country is estimated at 300, with an annual increase of 20%. On April 29, the French Minister of Ecology Ségolène Royal received a delegation of shepherds, farmers and hunters in Paris. Representatives demanded the creation of reserve areas, an increase in shooting allowances and a review of the wolf’s protection status. A wolf has been spotted in the Netherlands near the German border in the province of Drenthe. The last wolf was officially seen in the Netherlands in 1897. The lone wolf killed two sheep and wounded two other in the Drenthe area. DNA tests have shown that the wolf came from a pack known as Munster that lives near Hamburg and Bremen. Local herders have expressed their concern and asked for a rapid implementation of measures that, beyond economic compensation, would ensure adequate protection of livestock. Crofting is a traditional pastoral system in Scotland in which common land is divided into individual “crofts” (typically 2–5 ha of land) for better quality forage, arable and vegetable production, and poorer-quality hill ground managed by townships for common grazing for cattle and sheep. Around 10% of the population of the Scottish Highlands and Islands are involved in crofting. The Scottish Crofting Federation (SCF) aims to “support crofting livelihoods as a social system unified through small-scale food production”, promote its agricultural, social and environmental benefits and preserve this unique way of life through training, awareness raising and participative policy making. A meeting in Inverness in April 2015 marked the launch of a ‘Young Crofters’ Movement’ welcome by the SCF as a promising initiative to keep fighting for the survival of crofting and the implementation of adequate regulation, rural development policy and public investment by the Scottish government. Four young crofters gave a presentation to the Scottish Parliament Cross Party Group on Crofting, emphasizing “the need to access land, homes and jobs” as a priority concern. In northern Sami language, the month of May is called Miessemánu, or ‘reindeer calf month’, and it is this time of year that the cycle of life continues in the world of reindeer herding. 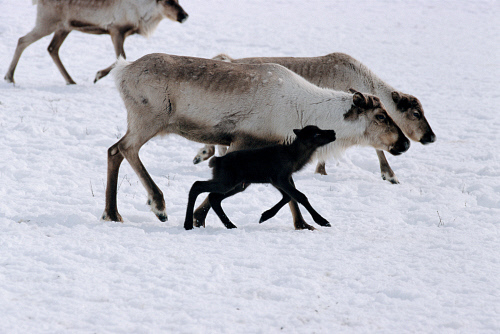 For reindeer and herders life starts anew across the Sami area, as reindeer are not only giving birth to new calves but they are on the move, most particularly in Norway and Sweden. It is now time for Reindeer and their herders to leave the winter pastures and travel overland to the summer pastures, travelling over ancient and well worn migratory paths. European Shepherds Network (ESN) brings together extensive livestock farmers and shepherd organizations in Europe that share common goals such as supporting pastoralism and building a cohesive social movement.